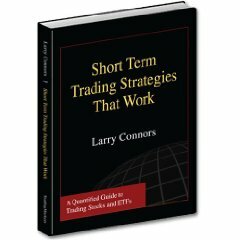 I was recently sent a copy of “Short Term Trading Strategies That Work” by Larry Connors and thought I’d post a review. The book covers many subjects that I’ve spent a lot of time looking at over the last two years. I gather that some of the book comes from previous articles posted by Mr. Connors on the TradingMarkets website – so for some it may be material that you’ve already read. Overall, I found the book to be a pleasure. Well written, short and to-the-point. Most trading books I read, frankly, are fairly worthless because they don’t contain any testing. Mr. Connors makes it a point of discussing a strategy and then showing the tests. Obviously backtesting can only take you so far, but it is a good starting point. Most importantly, the book gave me some fresh ideas to explore – something everyone can use from time-to-time. While the book may cover too much well-tred material for advanced system designers, I think the book would be an excellent starting point for someone interested in learning about systems trading. As a side note, I love the format of the book. It is a large, thin, hardcover book. Makes it a pleasure to read and reminds me of my childhood Tintin and Asterix & Obelix books. In this review, I’ll go over each chapter in brief, but I won’t discuss the specific strategy rules as I think that would be unfair to the author. I will also be starting to confirm the tests outlined in the book, and post some follow-up on the systems and whether I was able to reproduce the results, and how as the strategy done recently. Chapter 1 – Introduction: Not much to say here. Chapter 2 – Think Differently – Rule 1 – Buy Pullbacks, Not Breakouts: This chapter makes the convincing argument that buying pullbacks has, statistically, worked far better than buying breakouts. While this is not news to me, the chapter presents some compelling information. Chapter 3 – Rule 2 – Buy the Market after it’s Dropped; Not after it’s Risen: Basically a reverse of the prior chapter that continues the mean reversion as a strategy argument. Chapter 4 – Buy Stocks above their 200-day Moving Average, not Below: This chapter shows how buying stocks/ETFs above their 200dma has a significant advantage over buying stocks below their 200dma. Chapter 5 – Rule 4 – Use the VIX to your Advantage…Buy the Fear, Sell the Greed: Presents a basic VIX system in outline form (covered more in later chapters). The basic idea is to buy when the VIX is stretched. Chapter 6 – Rule 5 – Stops Hurt: This chapter presents compelling stats on how much stops of different kinds (time stops, % loss, trailing) hurt trading systems. And this is without a doubt true. One issue I have with this approach is that I’m not sure most people could survive the drawdowns caused by this approach. A second issue is that not having stops takes away some pretty attractive position sizing techniques such a percent at risk or an ATR-based stop. His argument would no doubt be that those hurt the overall performance of the system, but in my limited experience I’ve found you can get more return out a system using position sizing. You can also translate that into options position sizing as well. Chapter 7 – Rule 6 – It Pays to Hold Positions Overnight: Here Mr. Connor points out, again, using statistics, that most gains are made overnight rather than intraday. Thus, he argues that one should hold overnight to maximize profits. Chapter 8 – Trading with Intra-Day Drops – Making Edges Even Bigger: This chapter shows how buying on a limit price below the open price can significantly improve the edge of a system. Obviously, there will be fewer trades as the percentage below the open increases, but Mr. Connors shows how both the percent correct and average gain per trade goes up. Definitely interesting stuff that I will be using. Chapter 9 – The 2-period RSI – The Trader’s Holy Grail of Indicators? : I hate the title of this chapter – whenever I see the phrase “Holy Grail” I immediately think to myself that it is about to fail. 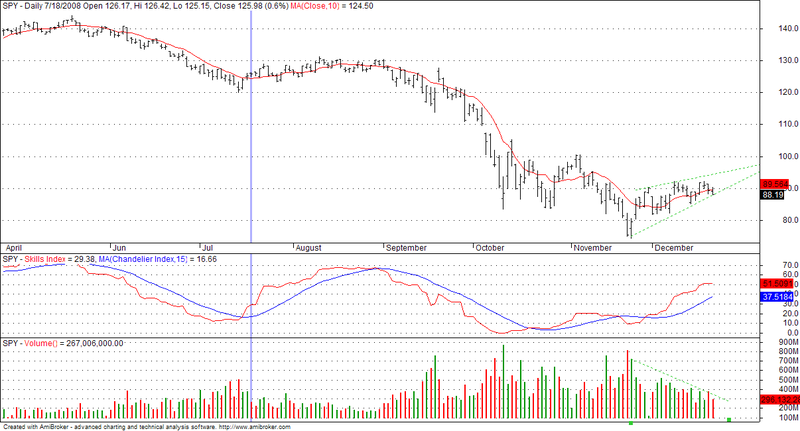 But regardless, this chapter provides a comprehensive look at the power of the RSI(2) indicator. I’ve covered this a fair amount on this blog, so I don’t think much more needs to be said. This chapter also includes the Cumulative RSI strategy that I’m going to be testing myself over the next day or so. Chapter 10 – Double 7’s Strategy: Not much I can say about this chapter without revealing the strategy – it presents a good simple trading strategy for the SPY when it over its 200dma. Chapter 11 – The End of the Month Strategy: Michael over at Marketsci has been covering similar territory – Mr. Connors presents a strategy for focusing on the end of the month as a system. Chapter 12 – 5 Strategies to Time the Market: This chapter covers, not surprisingly, 5 strategies. It builds out the VIX Stretch strategy, and then showcases another VIX strategy, a TRIN strategy, another Cumulative RSI strategy, and finally a short strategy for the SPY. All are interesting. Chapter 13 – Exit Strategies: Here Mr. Connors reviews different exit strategies and their qualities. These include: time-based exit, first-up close exit, new-high exit, close above a moving average exit and the RSI(2) exit. The author provides detailed analysis of each exit. One criticism of the book here: he does not include stats on the first-up close exit and the new-high exit. Chapter 14 – The Mind: I thought this chapter would bore me, but I found it surprisingly interesting. Rather than going on with the classic “trading in the zone” approach that has been covered numerous times, the author structures the chapter as a series of questions related to systems trading. Example: “You lose money for eight consecutive days and you’re long multiple positions as the market is imploding. What do you do? Get out?” My reaction to many of the questions (not that one because I have an answer) was “hmmm….I don’t have a good answer”. So more food for thought. There is also a long interview with Richard J. Machowicz, a former Navy SEAL, that may be of interest to some people but not me. Well written and easy to understand – even for someone without a lot of trading experience. Very interesting strategy ideas – gave me lots of areas to explore. 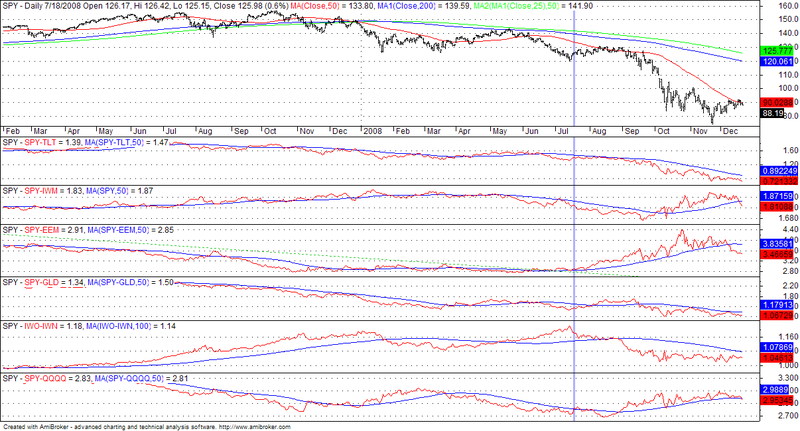 Favorites: Cumulative RSI and Double 7’s Strategy. Also interesting: the chapter on Exit Strategies. – Buy on: Open of the day following a signal. – Sell on: Open of the day following a signal. Much of the work in the book revolved around stocks/ETFs being above a 200DMA – and thus, there aren’t a huge number of strategies that will currently work. As mentioned above, the systems don’t use stops. This may be unrealistic for many people, and limits your position sizing options. Simply saying “take your equity and divide it by the number of positions” keeps it simple but also gives no idea, for the trader, as to how much to risk. Most of these negatives are pretty small – and I would strong recommend the book. For the beginning system designer, this book would be indespenible. 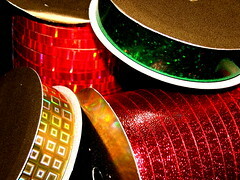 For the experienced designer, you’ll probably find a gem or two that will spark some ideas of your own. Well, I’ve completed work on a new system I wanted to tell everyone about. The system has some unique characteristics. 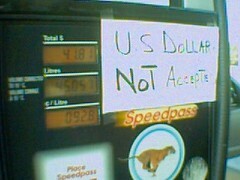 First of all, I have no doubt that the system will lose money in the short term. However, the system has the benefit of hopefully long-term value and definitely has a great deal of short-term value. I’ve traditionally been a technical/quantitative trader, but this system is also unique in that it is based both on value and growth models. The system has some additional interesting characteristics including a strong feedback loop that can cause rejection of trades, and the ability to process trades very quickly. The only problem is that the trades end up looking like poop. I don’t believe there is any way around these aspects of the system. This system has a simple name: Max. I’ve provided a simple equity curve. 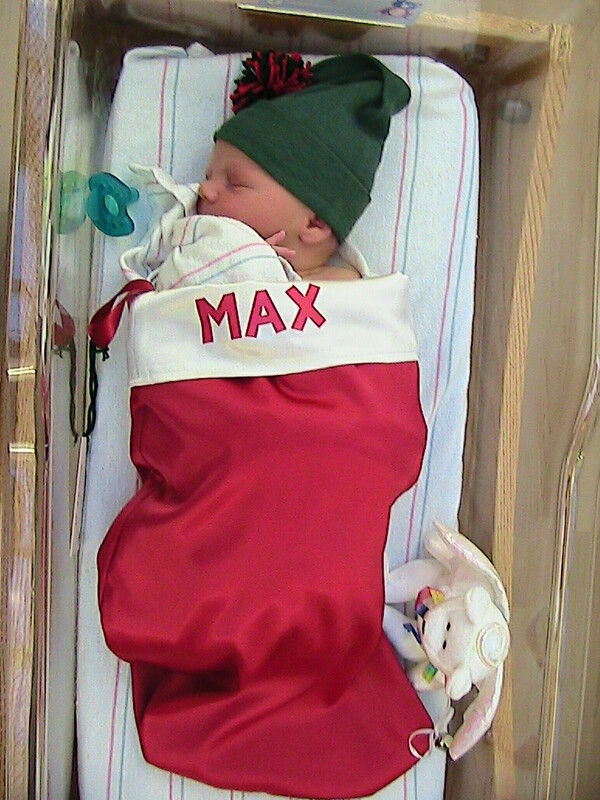 The system was born on December 23rd at 6:03am and weighs in at 8lbs. 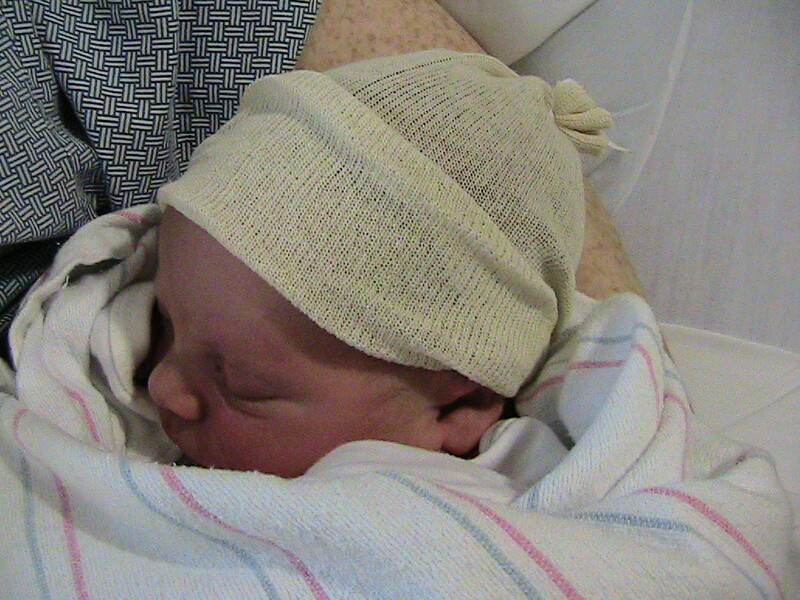 8ozs and is 21 inches long. The system was born from my wife and both are doing fine. As our first duel-dual-created system, we’re stunningly happy with the outcome and it has turned out to be quite a Christmas present. So with that I will wish all of you a Merry Christmas, Happy Holidays and a wonderful New Year. I’ve updated the ETF correlation tracker tool today based on reader feedback. It now includes 10,50,120 and 260-day correlations on our ETF basket. Michael over at MarketSci sent me back a version that converted it to a heat-map where it is colored by percentage correlation, but he did it in Excel 2008 – I’m including a screenshot below. If anyone has any idea how to do this in earlier versions of Excel, I’d love to hear from you. I am sitting up here on a Friday night wrapping presents and waiting for some sign that my wife will go into labor (no sign yet – the baby is late! ), and we’ve gotten about 5 inches of snow in the past 3-4 hours. So I have had some time to focus on the state of the market. One thing I like to look at to get a sense for how the overall market is doing is to look at different ratios. I’ve setup a screen on my system that shows me a bunch of these different screens. So what does this show? A few things jump out at me: Small cap stocks (represented by IWM) are outperforming large cap stocks (represented by SPY). And we’ve got the Nasdaq (represented by QQQQ) outperforming large cap (again represented by SPY). Bonds (represented by TLT) continue to outperform stocks (SPY). Finally, we’re seeing foreign developing markets (represented by EEM) outperforming large cap stocks (SPY). What I would like to see, based on history, is small caps outperforming large cap stocks. I would also like to see the Nasdaq outperforming large cap stocks. So that’s two good aspects of the recent market activity. But one aspect of this chart does give me pause. I’ve been working on some studies of small cap growth (represented by IWO) vs. small cap value (represented by IWN). In these studies, I have found that the market tends to do better (a lot better in many cases) when growth is outperforming value. This, combined with the fact that Gold (represented by GLD) continues to outperform large cap stocks gives me some measure of pause. The Skills Index is still on a buy signal, and I have been making money on this by being in small cap stocks – particularly UWM. I will be watching for growth to outperform value in the next week before committing more money to the market. Other concerns: that sure looks like a rising wedge on lowering volume. I have also almost completed work on the changes I outlined to my existing systems (MOMO1 and MR1) – I’ll be posting updates about those system very soon – although if the baby decides to come tonight (which would be perfect since the roads are problematic at the moment), it may take more than a few days. I’ve decided to publish a tool for readers on a weekly basis – I’ll see if people have any interest to decide whether to keep publishing it or not. 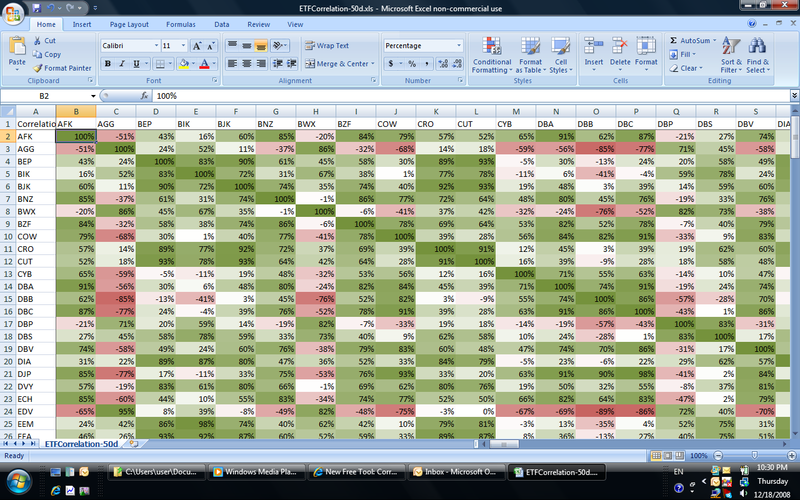 The links below are to documents (in HTML and CSV form) that show the 50 day correlation between most ETFs available. There are about 170 in the file. Want to figure out what ETFs you should have on to be more “neutral” in your overall positioning? Check the Correlation Tracker! If you find it useful, let me know. If there are aspects you’d like to change, let me know as well – I’ve considered, for instance, publishing it for different time ranges. But I’ll leave it to the readership to see if anyone cares! Arne Duncan was just nominated by Obama to be Secretary of Education. As it turns out, Duncan was a ba sketball player at Harvard University when a good friend of mine – Steve Bzomowski – was an assistant coach there. Steve has coached me in my basketball skills since the 1990s and is himself a fantastic player who played his college ball at Fordham University. He’s also a very talented writer in his own right – I’ve often told him he should be a writer. Another thing I remember is in pre-season pick-up games, Arne never called a foul when a defender fouled him. Never. I think he saw it, calling the foul, as an excuse he did not want to use if something had gone wrong – missed a shot, lost the ball or something. No excuses. Play through it. Get the job done. Overcome the obstacles, nobody bailing him out. Excuses equated to failure and he just did not see things that way. I realize that many people reading this blog may not like or have voted for Obama, but I find it encouraging that he has picked someone with this kind of attitude – the “I will not fail” attitude combined with a team attitude. And it is some fine writing from Steve. I hope you enjoy it as much as I did. USD to Oil – will commodities take off again? Bill Luby at Vix and More seems to be stealing all my post ideas, but I’ll go forward with this one anyway. Damn you, Bill! That’s the US Dollar at the top, followed by the Oil index, followed by the 100-day correlation of the two. Almost perfect anti-correlation. So, with that in mind, I’m watching commodities right now – and also taking a look at FXE as a way to play the dollar. And, as Bill pointed out, I wonder if this is a strong sign of inflation reemerging due to the endless dollars we are printing to fund Bailout Nation.